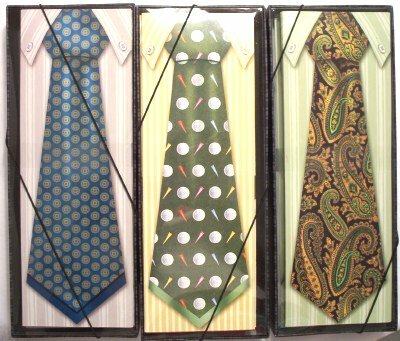 These neck tie notecards are perfect for the man in your life. Men do like to write notes to friends. You can also give them to a women with many male friends to write notes to. Men like to receive items that are male instead of a card with a purse or shoes on them. Sooo, the necke tie notecards are great for men and women. Each box contains 10 blank 10" cardstock cards and matching envelopes. These also make great father's day gifts.